Individuals who have as many as 50 or more moles on their bodies should be cautious, as they have a higher risk of developing melanoma. However, according to new research from the American Academy of Dermatology (AAD), people with less than 50 moles may have a higher risk of developing more aggressive forms of melanoma, compared to those individuals who have many more moles. Researchers looked at the charts of 281 melanoma patients who had visited the Meth Israel Deaconess Medical Center Department of Dermatology between 2013 and 2014—192 patients had less than 50 moles, while 89 had more than 50 moles. 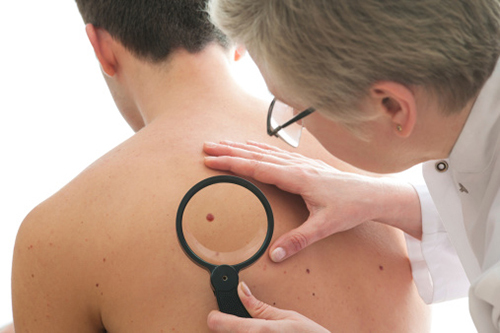 The findings from the review, which were recently presented at the AAD’s 2015 Summer Academy Meeting, showed that patients who had fewer moles had developed thicker and more aggressive forms of melanoma, compared to patients who had more moles. Furthermore, those with fewer moles were more likely to get the melanoma diagnosis at an older age. Researchers speculate that these results may have to do with the fact that people who have fewer moles are less likely to go for regular dermatology exams, which prevents the detection of melanoma in its early stages when it’s thinner, less aggressive, and easier to treat. The other reason may be because of genetic variations in melanoma—there may be different factors and pathways that drive the condition in each group, which may be why it results in varying levels of aggressiveness. In any case, the researchers, together with the AAD, encourage individuals with fewer moles to continue going for regular checkups. Healthcare professionals should also ensure that these patients are properly screened and educate them about the risks and symptoms associated with melanoma. American Academy of Dermatology, “Study: Fewer Moles May Mean More Aggressive Melanoma,” Newswise web site, August 20, 2015; http://www.newswise.com/articles/study-fewer-moles-may-mean-more-aggressive-melanoma.